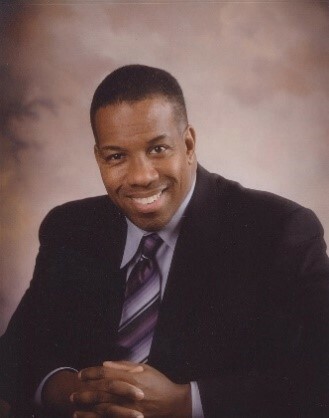 Kevin Pitts is a seasoned leader, consultant, facilitator, and adjunct faculty member at Drexel University who has led workshops and coached executives across the country. His experiences in executive coaching and leadership development have allowed him to see the best and worst practices of world-class organizations as he partnered with them to drive organizational and individual effectiveness. Kevin’s mission is to help people and organizations achieve business results by facilitating sessions and coaching executives from where they are today to where they want to be in the future. His most satisfying sessions happen when he is able to actively listen to clients and ask the right questions that provide clarity on the problem statement and the solution. Kevin worked for the Strategic Management Group and PCG, LLC consulting and training organizations working with the Fortune 50 and others to solve business problems related to strategy, executive leadership, coaching, project management, and sales. In his capacities, Kevin has led a team of consultants to solve various business problems. He designed and developed a leadership program for the 3rd largest global banking institution to enhance the financial awareness of the key leaders within the IT department. This initiative entailed baseline assessments through surveys and interviews, executive coaching, product development and the execution of the solution for 1300 key leaders of the organization. Kevin designed an 8 month development program for a Japanese Manufacturer consisting of action learning sessions, assessments, facilitation and executive coaching. The developmental program challenged the participants to solve problems that were currently residing in the Office of the CEO. The initiative incorporated executive coaching, project management and facilitated workshops targeted to solve specific challenges in the C-Suite. In addition, the high potentials received extensive coaching related to their leadership style identified by 360% surveys and personality assessments (FIRO B and Myers Briggs). The resulting personal and organizational action plans were approved and executed by the leaders of the high potentials and resulted in cost savings and increased sales for the organization. Kevin also executed a major change program with a leading pharmaceutical and chemical organization. The fundamental purpose of the engagement was to assist in the integration of a major merger. This engagement entailed needs assessments, organizational design and training, coaching and consulting. This engagement has been credited with creating a faster integration process which resulted in a larger ROI for the acquirer. A leading chemical firm hired Kevin and his team to engage in a leadership initiative concerning inclusion and engagement. This assignment entailed working with the leadership team to identify the direction and intent of successful employee engagement. The initiative was initiated as a result of a less than desirable pipelineof new leaders, new ideas and new products. The engagement focused on aligning middle managers to the inclusion direction needed for the success of the business as innovation and creativity were major strategic thrusts of the new senior leadership team. Coaching multiple levels of senior and middle managers in order to facilitate process improvement and change in various personal and operational objectives. Facilitating senior management and division managers toward alignment using strategic planning tools and techniques such as; trend analysis, industry structure analysis and the McKinsey 7S framework. Designing solutions for high potential leadership initiatives using his expertise in strategy, finance, and project/change management incorporating gap and stakeholder analyses in order to move from the “As Is” to the “To Be” state. Kevin has also spoken at the annual conferences of IBM, EMC, Panasonic, Xerox, GE, NBMBAA, NABA, the OD Network, National SHRM conference, Tri-State SHRM and SHRM Diversity and Inclusion. Kevin attended the Colgate Darden School of Business at the University of Virginia, where he received an MBA with a concentration in Finance/Organizational Behavior, and Colgate University, from which he received a BA in Philosophy. He was a PhD candidate at the University of Pittsburgh in the area of Strategic Management with an emphasis on execution. In addition to his academic studies, Kevin has published several articles in areas such as: business strategy, total quality management, environmental scanning and decision-making. Kevin resides in Blackwood, NJ and enjoys playing golf and traveling. His interests include: learning another language (Spanish), playing and watching sports, going on safaris and playing cards with family and friends.